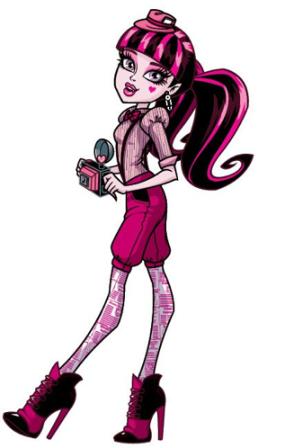 draculaura reporter. . Wallpaper and background images in the Monster High club. Is this a new doll? Or is it fanart? Whoever did this is REALLY good! Realy @ first i thought it was cute but the i saw the bottem & i was like ok. But if it was a doll i gusse i would buy it.